So for whatever reason, we here at FREEISH like to take frequent trips down obscure memory lane. Don’t judge, follow along. Somehow we ended up watching TV ONE’s ‘Unsung: Xscape’. When I tell you that there was so much distilled tea being spilled across this special. 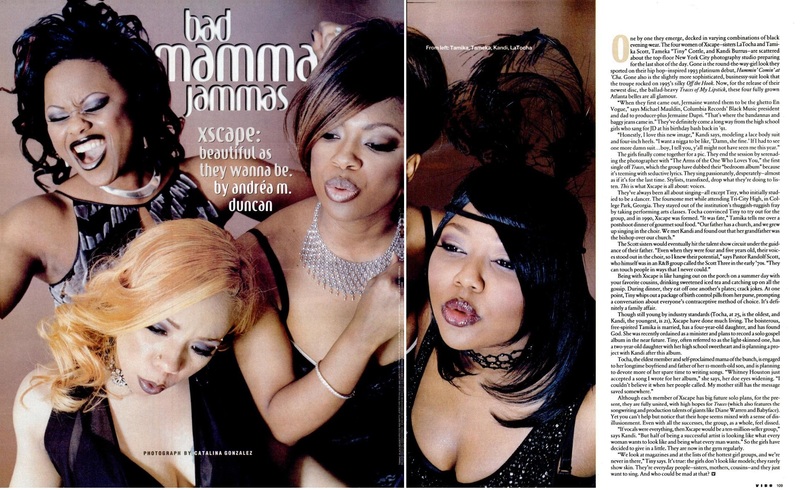 Now for kids left behind, Xscape was a multi-platinum girl group that consisted of Kandi Burress (from Real Housewives), Tameka “Tiny” Cottle (of T.I. ), LaTocha Scott (of R&B Divas: Who Cares?) and Tamika Scott (…). The group had 3 consecutive Platinum albums along with 6 top 10 hit songs on the Billboard Hot 100 during the 1990s including “Just Kickin’ It”, “Who Can I Run To”, “The Arms of the One Who Loves You”, and “My Little Secret”. Despite the success, the group disbanded a few times due to…well no one really knows. WE ASKED THE INTERNET DO THEY STILL REMEMBER XSCAPE AND HERE’S WHAT THEY SAID IN 140 CHARACTERS OR LESS.